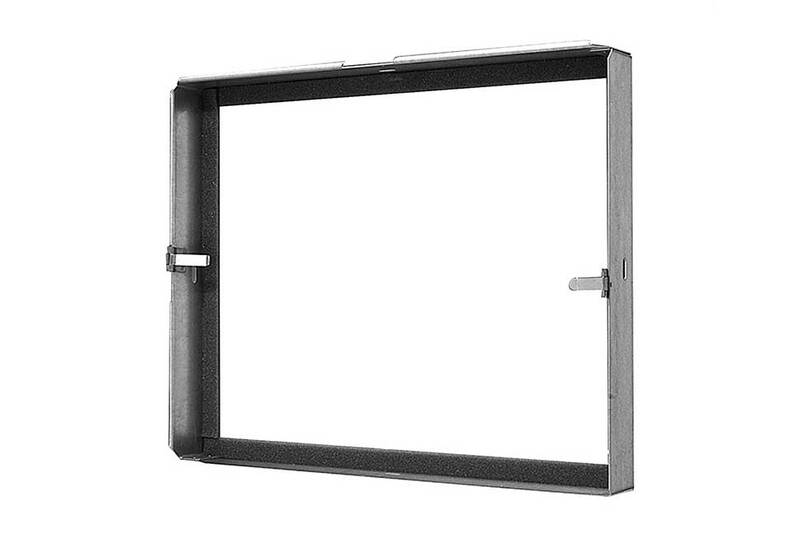 CONSTRUCTION: Heavy 16 gauge Galvanized Steel is standard on the NS-100 Filter Holding Frame. Ludwig Clips and a Foam Gasket are included in the price of the NS-100. Designed for normal air handling applications. Combines ease of installation with competitive price and durable construction. Recommended for straight or “V” bank construction. The NS-100 Filter Holding Frame provides a strong, durable and vibrationless filter bank, simple and economical to erect. Interlocking lip construction prevents dust seepage. Lip construction on two sides of frame join with straight sides of adjacent frames for rigidity. Remaining straight sides of original frame slide into lip construction of other two adjacent frames. Bolts are inserted through frames on all sides once sides are interlocked.